Here are some snazzy birthday facts about 19th of September 1977 that no one tells you about. Don’t wait a minute longer and jump in using the content links below. Average read time of 10 minutes. Enjoy! What day was my birthday Sep 19, 1977? September 19, 1977 was a Monday and it was the 262nd day of the year 1977. It was the 38th Monday of that year. The next time you can reuse your old 1977 calendar will be in 2022. Both calendars will be exactly the same! This is assuming you are not interested in the dates for Easter and other irregular holidays that are based on a lunisolar calendar. What day is September 19 this year? There are 151 days left before your next birthday. You will be 42 years old when that day comes. There have been 15,189 days from the day you were born up to today. If you’ve been sleeping 8 hours daily since birth, then you have slept a total of 5,063 days or 13.86 years. You spent 33% of your life sleeping. Since night and day always follow each other, there were precisely 515 full moons after you were born up to this day. How many of them did you see? The next full moon that you can see will be on May 18 at 21:13:00 GMT – Saturday. Fun stat: Your first one billion seconds (1,000,000,000) happened sometime on May 28, 2009. If a dog named Barkavious - a Coton de Tulear breed, was born on the same date as you then it will be 184 dog years old today. A dog’s first human year is equal to 15 dog years. Dogs age differently depending on breed and size. When you reach the age of 6 Barkavious will be 40 dog years old. From that point forward a small-sized dog like Barkavious will age 4 dog years for every human year. View the complete list of September 19 celebrity birthdays. Who are the famous September 19 birthdays? Here’s a short list of famous people in history who were born on Sep 19. View the complete list of September 19 famous birthdays. What happened on my birthday – Sep 19th? The Continental Congress passes the first United States federal budget. American Civil War: The first day of the Battle of Chickamauga, in northwestern Georgia, the bloodiest two-day battle of the conflict, and the only significant Confederate victory in the war’s Western Theater. American Civil War: Third Battle of Winchester: Union troops under General Philip Sheridan defeat a Confederate force commanded by General Jubal Early. With over 50,000 troops engaged it was the largest battle fought in the Shenandoah Valley and was not only militarily decisive in that region of Virginia but also played a role in securing Abraham Lincoln’s election in 1864. Witold Pilecki is voluntarily captured and sent to Auschwitz in order to smuggle out information and start a resistance. The Council of Europe is founded following a speech by Winston Churchill at the University of Zurich. The first Glastonbury Festival is held at Michael Eavis’s farm in Glastonbury, United Kingdom. A parcel bomb sent to Israeli Embassy in London kills one diplomat. Turkish Airlines Flight 452 hits the Taurus Mountains, outskirt of Karatepe, Osmaniye, Turkey, killing all 154 passengers and crew. A terrorist bomb explodes UTA Flight 772 in mid-air above the Tùnùrù Desert, Niger, killing 171. Guelb El-Kebir massacre in Algeria where 53 people are killed. View the complete list of September 19 historical events. Curious about this Hurry Up Fuse? This is a party item you can activate and send to your friends when you play the free game Jump Birthday Party. It’s a fun and easy-to-play mobile game for all ages. Get free 1,000 gold coins when you download today! What does my birthday September 19, 1977 mean? 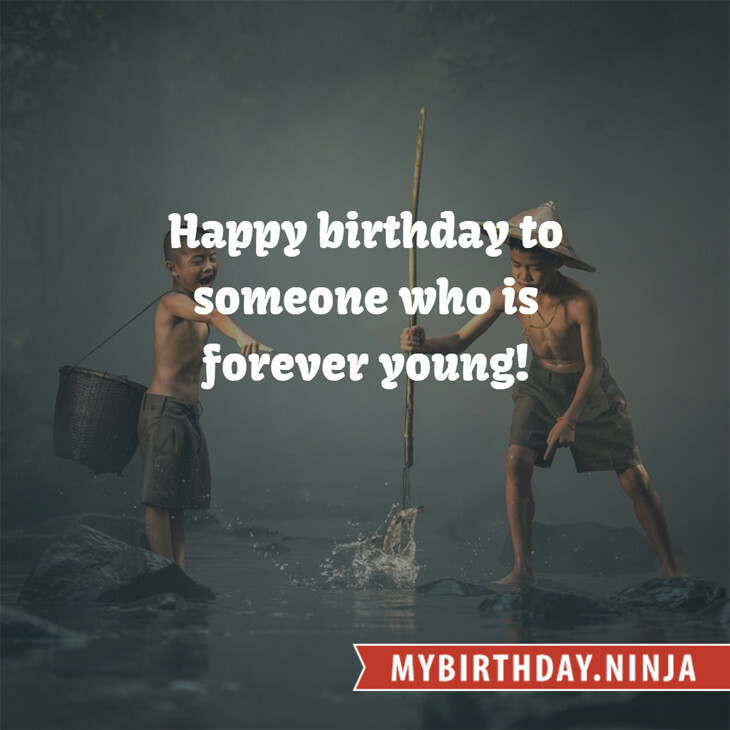 Your birthday numbers 9, 19, and 1977 reveal that your Life Path number is 7. It represents analysis, awareness and understanding. You are the searcher and the seeker of the truth. The following celebrities also have the same life path number: Daniel Johns, Allison Holker, Danielle White, Pleasure P, Ticho Parly, Nick Hexum, Harry Enfield, Joey Covington, Johnny Manahan, Bipasha Basu. What is the birthday horoscope for Sep 19, 1977? The Western zodiac or sun sign of a person born on September 19 is Virgo ♍ (The Maiden) – a mutable sign with Earth as Western element. The ruling planet is Mercury – the planet of communication. According to the ancient art of Chinese astrology (or Eastern zodiac), Snake is the mythical animal and Fire is the Eastern element of a person born on September 19, 1977. What is the birthstone for September 19? Fun fact: The birth flower for 19th September 1977 is Aster for memory. 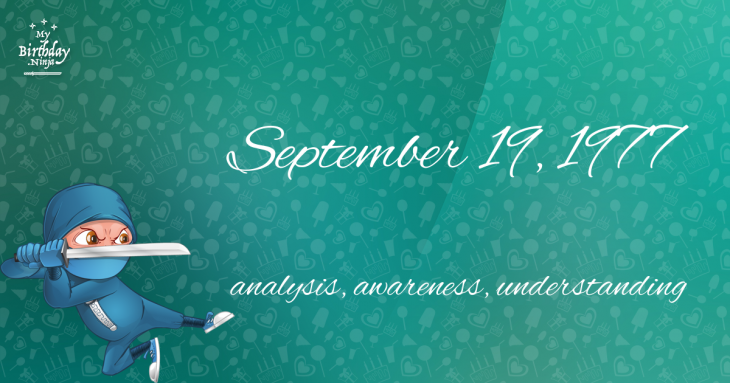 What is the Love Match for Sep 19, 1977? When it comes to love and relationship, you are most compatible with a person born on October 14, 1958. You have a Love Match compatibility score of +161. Imagine being in love with your soul mate. On the negative side, you are most incompatible with a person born on February 13, 1964. Your incompatibility score is -136. You’ll be like a cat and a dog on a love-hate relationship. Arf-arf, I want to bite you. Meow-meow, stay away from me! What is a good birthday trivia for September 19? The number-one hit song in the U.S. at the day of your birth was Best of My Love by The Emotions as compiled by Billboard Hot 100 (September 24, 1977). Ask your parents if they know this popular song. How many babies were born on September 19, 1977? Base on the data published by the United Nations Population Division, an estimated 121,958,945 babies were born throughout the world in the year 1977. The estimated number of babies born on 19th September 1977 is 334,134. That’s equivalent to 232 babies every minute. Try to imagine if all of them are crying at the same time. What is the popular baby name on 19 Sep 1977? What’s your bizarre Florida Man story? The #FloridaManChallenge is breaking the Internet and social media. Some crazy men, women, or creatures from the Sunshine State are making headlines every day of the year including your birthday. Try this fun exercise. Pick your search engine of choice and type in “florida man September 19” and see what kind of wild news headline you will get. This viral craze started in 2013 and gets resurrected now and then. The latest was from Tumblr and found its way to Twitter. As they say, the rest is history. Here’s a quick list of all the fun birthday facts about September 19, 1977. Celebrities, famous birthdays, historical events, and past life were excluded. Try another birth date of someone you know or try the birthday of these celebrities: May 10, 1990 – Karmen Pedaru, Estonian model; November 7, 1990 – Joelle Hadjia, Australian singer-songwriter; May 23, 1948 – Myriam Boyer, French actress, director, and producer.